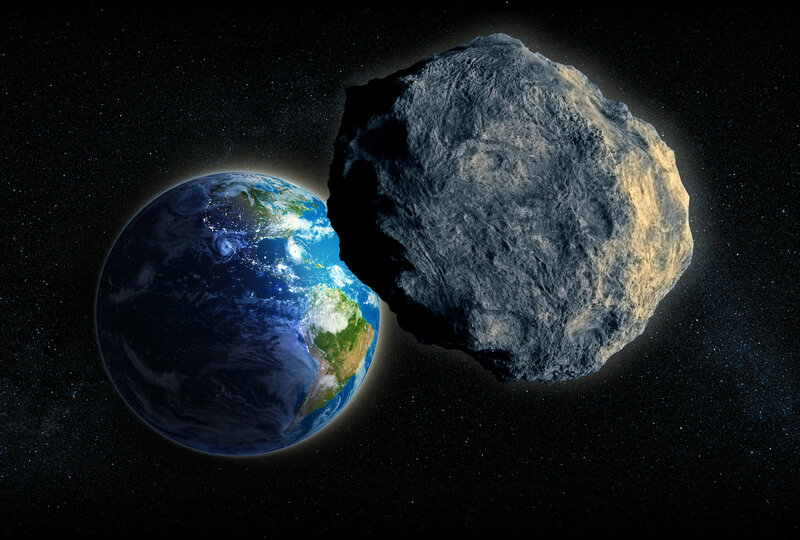 Saturday, June 30th marked International Asteroid Day, a global event involving researchers, astronomy groups, space agencies and more talking about asteroids – and the risk some of them present to Earth. Since 2013, and the Chelyabinsk event which saw a meteor roughly 20 metres across, caught on film as it broke up high over the Russian town, the tabloid media has seemingly been obsessed with reporting meteors about to collide Earth and wreak havoc. 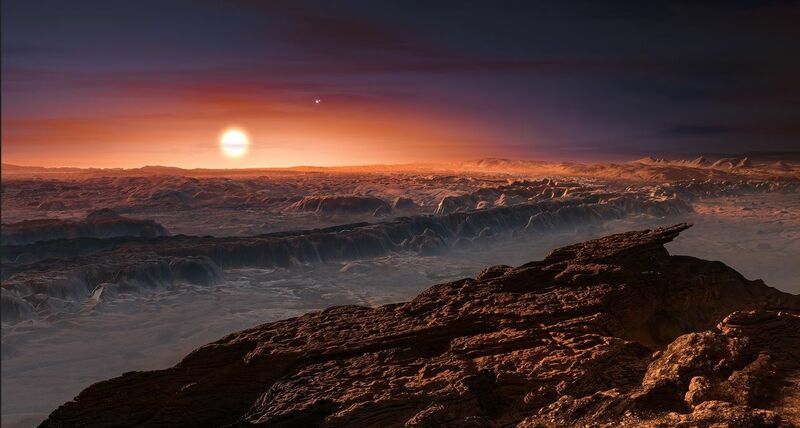 Fortunately, the vast majority of the estimated 10 million objects which have orbits passing close to Earth – referred to as NEOs, for Near Earth Objects, are unlikely to actually strike our atmosphere or are of a small enough size not to pose a significant threat if they did, despite all the screaming of the tabloids. Which is not to say NEOs don’t pose a potential threat. Not all of the 10 million objects with orbits passing close to, or intersecting, the orbit of Earth have been properly mapped. Take 2018 LA (ZLAF9B2), for example. As I reported at the start of June, this asteroid, some 2 metres across, was only identified a handful of hours before it slammed into Earth’s upper atmosphere over Botswana at approximately 17,000 kilometres per second, to be caught on film as it burnt up. 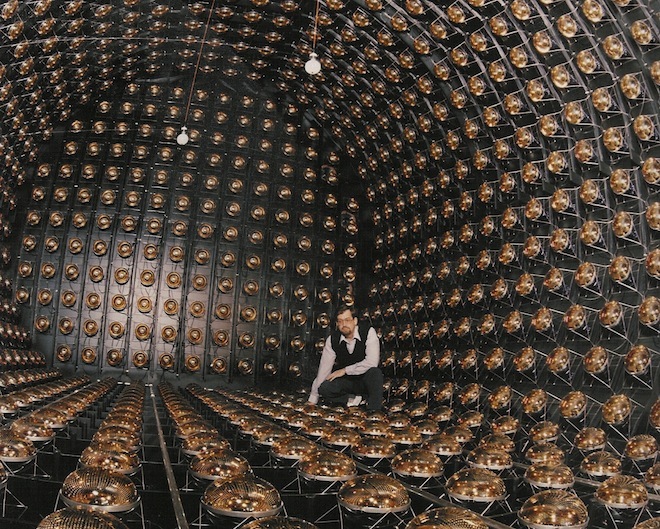 The energetic force of the accompanying explosion has been estimated to have been in the region of 0.3 to 0.5 kilotons (300 to 500 tonnes of TNT). The 2013 Chelyabinsk superbolide (roughly 10 times the size of 2018 LA (ZLAF9B2) disintegrated at an altitude of around at 29.7 km at a velocity between 60,000-69,000 km/h, producing an energy release equivalent to 400-500 kilotons (400,000-500,000 tonnes of TNT). This was enough to blow out windows and send 1,491 people to hospital with injuries, including several dozen temporarily blinded by the flash of the explosion. The first 32 seconds of the video below convey something of the force of that event. In June 1908 a cometary fragment estimated between 60 and 190 metres cross disintegrated some 5 to 10 km above Tunguska, Siberia. This generated an estimated downward explosive force of between 3 to 5 megatons and an overall force of somewhere between 10 to 15 megatons (again for comparison, all the bombs dropped by allied forces in World War 2 amounted to around 3.4 megatons of combined explosive force). This is believed to have generated a shock wave measuring 5.0 on the Richter scale, flattening an estimated 80 million trees covering an area of 2,150 square kilometres. Were it to occur today, such an event would devastate a large city. There are two sobering points with these two events. The first is that astronomers estimate only about one-third (1600) of objects the size of the Tunguska event meteoroid which might be among that 10 million NEOs have so far been mapped. The second is that many NEOs can remain “hidden” from our view. the Chelyabinsk superbolide, for example passed unseen as the Sun completely obscured its approach to Earth. 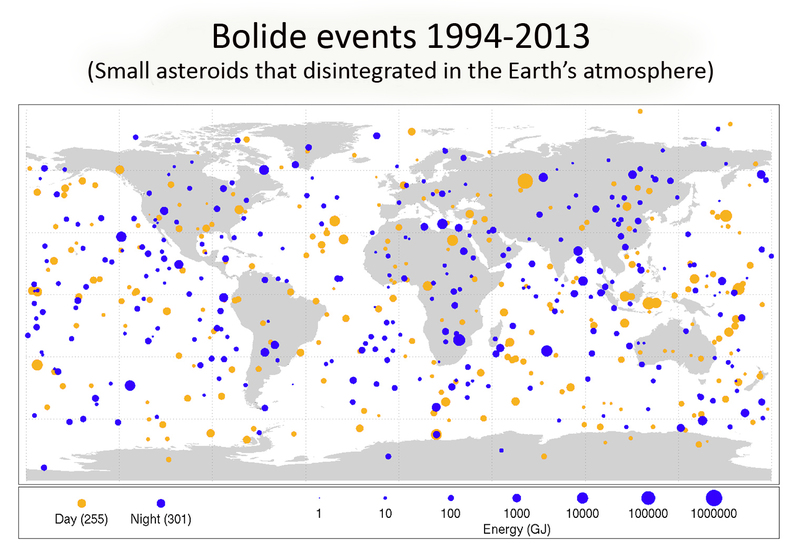 There have been several proposals for trying to deal with the potential risk of a PHA – Potentially Hazardous Asteroid – impact over the years. 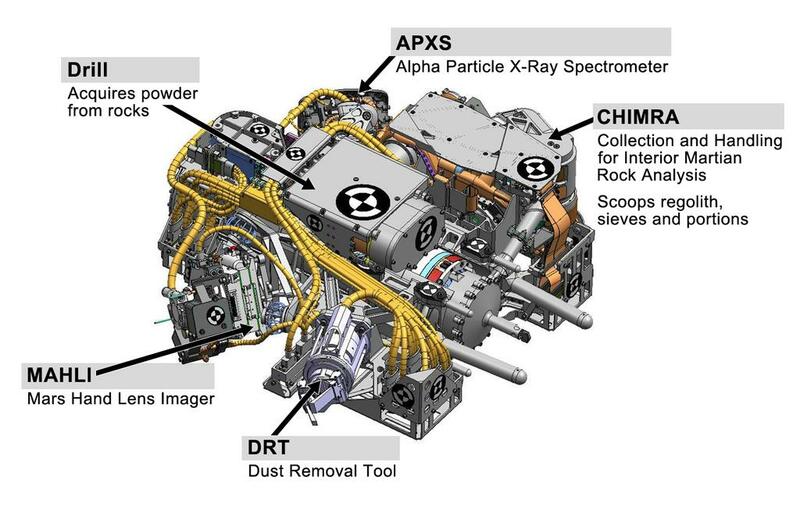 One currently in development is the NASA / Applied Physics Laboratory (APL) Double Asteroid Redirection Test (DART) mission intended to demonstrate the kinetic effects of crashing an impactor spacecraft into an asteroid for planetary defence purposes. The target for this mission is rather interesting. DART will be launched on an intercept with 65803 Didymos, an asteroid around 750 metres across – but this will not be the vehicle’s target. That honour goes to a much smaller asteroid – around 170 metres across (so in the size range of the Tunguska object) – orbiting 65803 Didymos and informally referred to as “Didymoon”. Originally, DART was to be a part of a joint NASA/APL and European Space Agency effort, with ESA supplying a vehicle called the Asteroid Intercept Mission (AIM). This would have been launched ahead of DART on a trajectory that would place it in orbit around the 65803 Didymos / “Didymoon” pairing, allowing it to track / guide DART to its target and record the entire impact and its aftermath. AIM never received funding, leaving the NASA/APL mission, which is currently scheduled for launch in 2021 and will intercept “Didymoon” in 2022. However, in the last few weeks, ESA has announced a revised mission to 65803 Didymos called Hera. 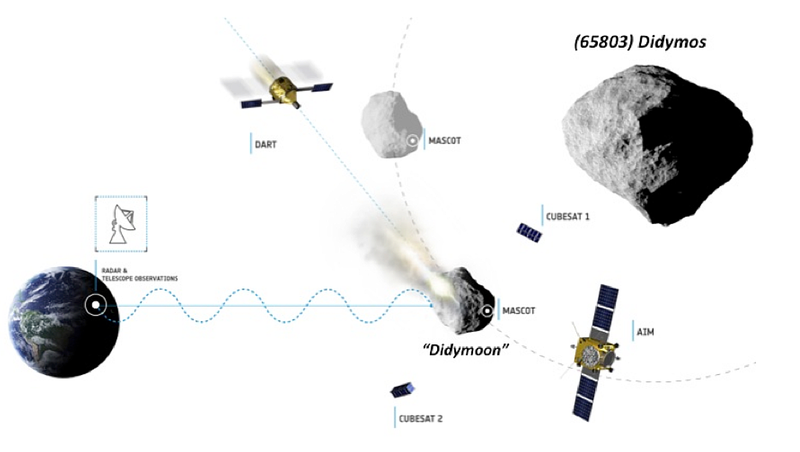 Like AIM, it is designed to orbit the asteroid and is moon, and a call has been made to combine it with DART under a new joint mission called Asteroid Impact and Deflection Assessment (AIDA). This would require DART to be delayed for a number of years to give ESA time to obtain approval for Hera and design, build and launch the craft – so the intercept would not take place until 2026. While this is a delay, it would mean that scientists would be able to better characterise “Didymoon” ahead of DART’s arrival, and witness the impact and its aftermath in real-time. It’s not clear whether or not DART will be delayed. If it isn’t, then it has been proposed DART carries a camera equipped cubesat similar to those AIM would have used in support of its mission. This could then be separated from DART ahead of the impact so it could image the event as it flies by “Didymoon”. The Hera mission would then arrive a few years after the impact and assess the outcome, including imaging the impact crater on the asteroid and changes to its orbit and its rotation, which can help scientists determine how efficient the impact was in transferring its energy into “Didymoon”. 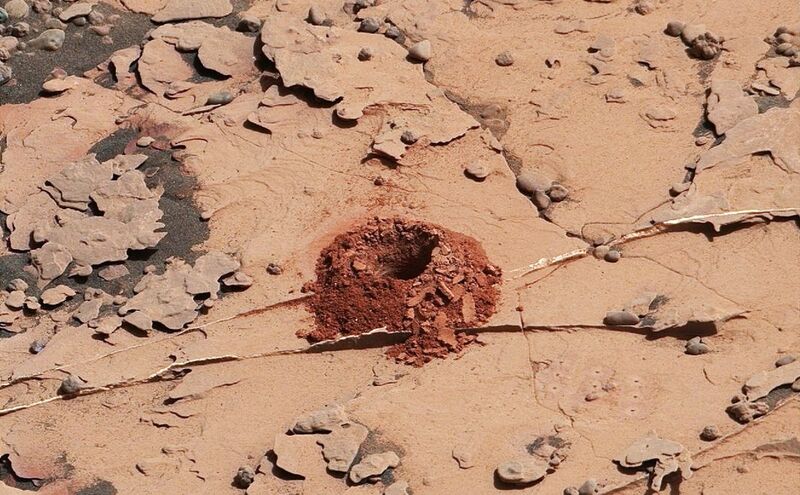 In March I reported that NASA’s Mars Science Laboratory rover Curiosity had taken an important step in recovering its ability to drill into Martian rocks to collect samples. Now it looks like drilling operations could be resuming. 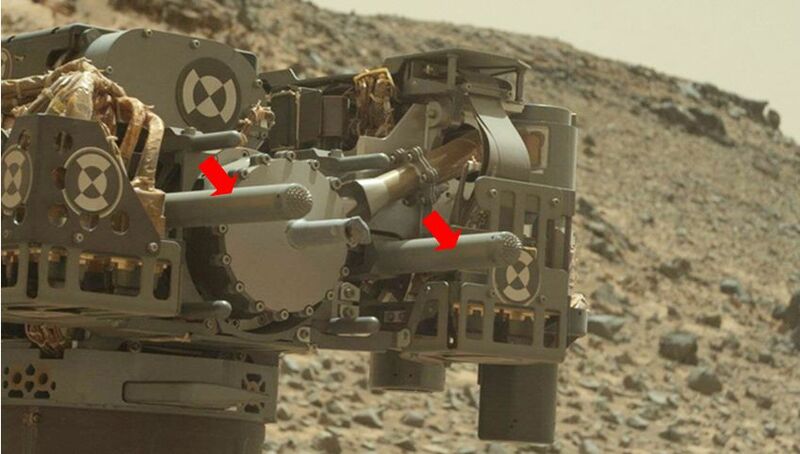 Use of the sample-gathering drill was suspended in December 2016, after problems were encountered with the drill feed mechanism – the motor used to extend the drill head between two “contact posts” designed to steady the rover’s turret during drilling operations. In particular, there was concern that continued use of the drill feed mechanism would see it fail completely, ending the use of the drill. Since then, engineers have been trying to develop a means of using the drill without and reliance on the drill feed mechanism, and at the end of February 2018, a new technique was tested. 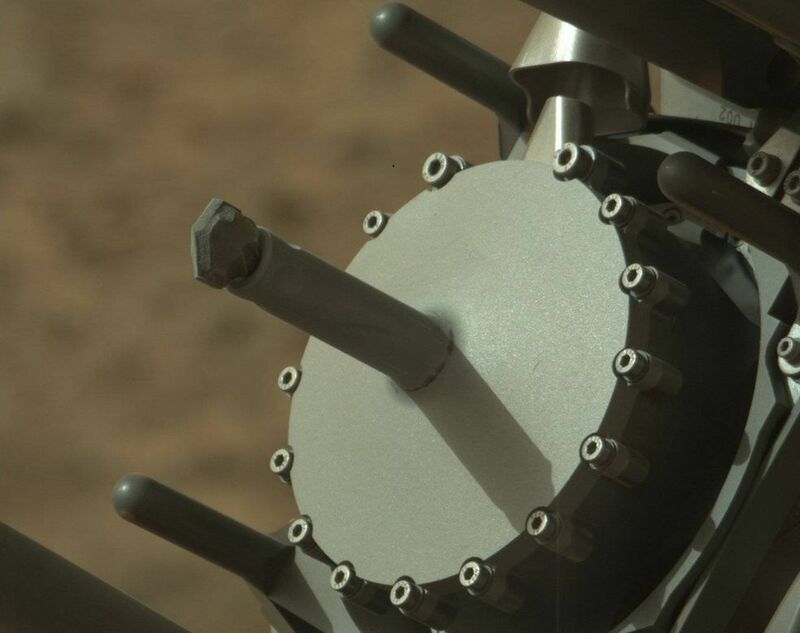 Called Feed Extended Drilling, or FED, it keeps the drill bit and head extended, and uses the weight of the rover’s robot arm and turret to push the bit into a target rock. 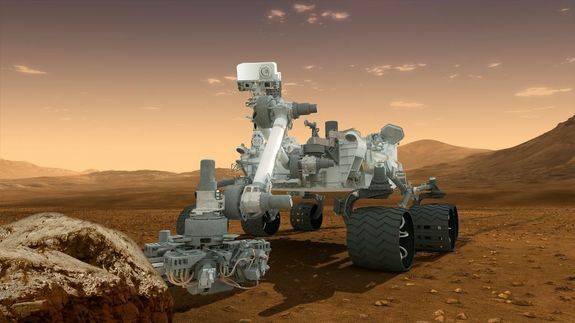 This is harder than it sounds,as it requires the weight of the rover’s arm to provide the necessary pressure to help push the drill bit into a rock – something it is not designed to do, and might actually break the drill bit or cause it to become stuck. 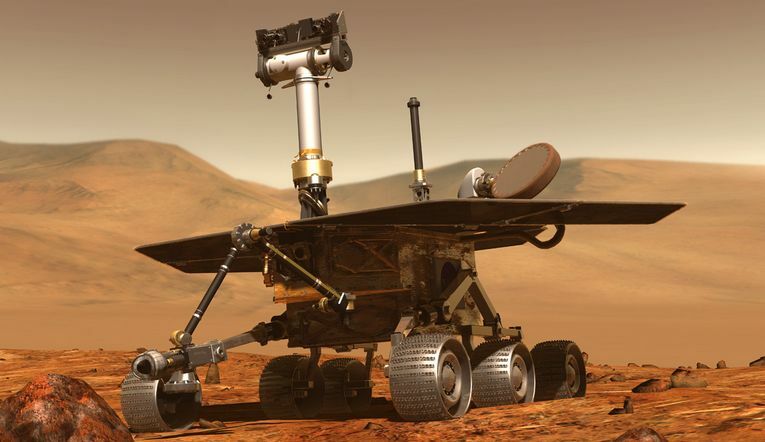 However, the rover passed the February test with flying colours. This success meant that engineers could focus on recovering the drill’s percussive action. This assists in both helping the drill cut into a rock and in breaking the contact area under the bit up into a fine powder that can be collected by the collection tube surrounding the bit. 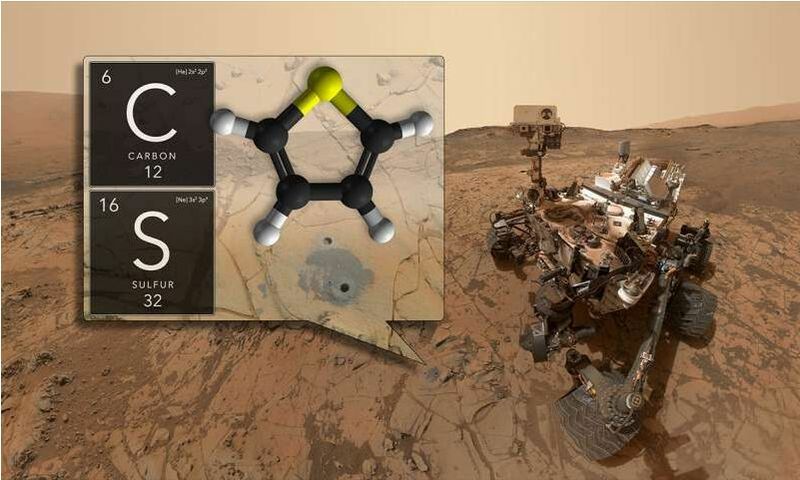 On Saturday, May 19th, and following further tests using Curiosity’s Earth-base test bed twin, the command was sent to Mars for Curiosity to carry out a second drilling test using both the FED approach and with the drill percussive action enabled. 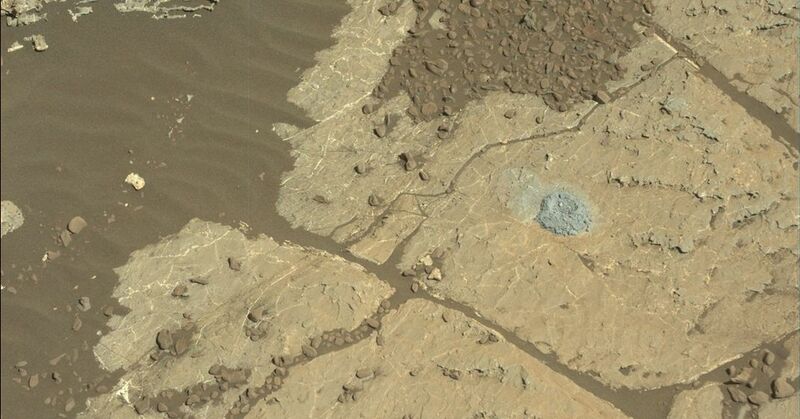 Unlike the February test, however, this one has an additional goal: to actually recover a special sample of rock. 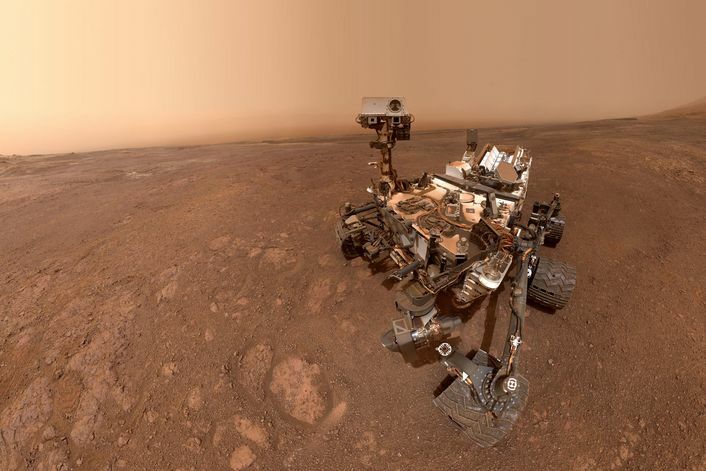 For the last couple of months, the rover has been making its way along a feature on “Mount Sharp” dubbed “Vera Rubin Ridge”, toward an uphill area enriched in clay minerals that the science team is eager to explore. 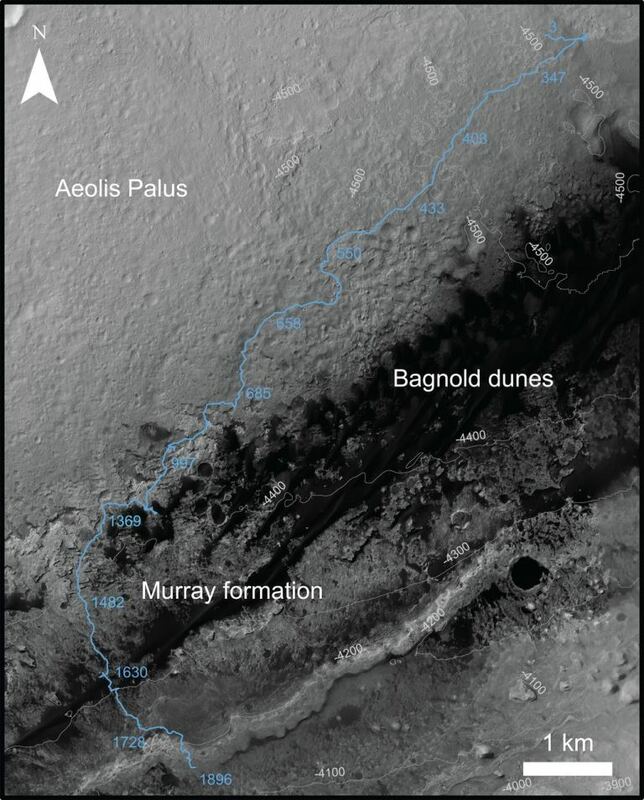 In doing so, the rover passed a distinct rock formation that could fill a gap in the science team’s knowledge about Mount Sharp and its formation. 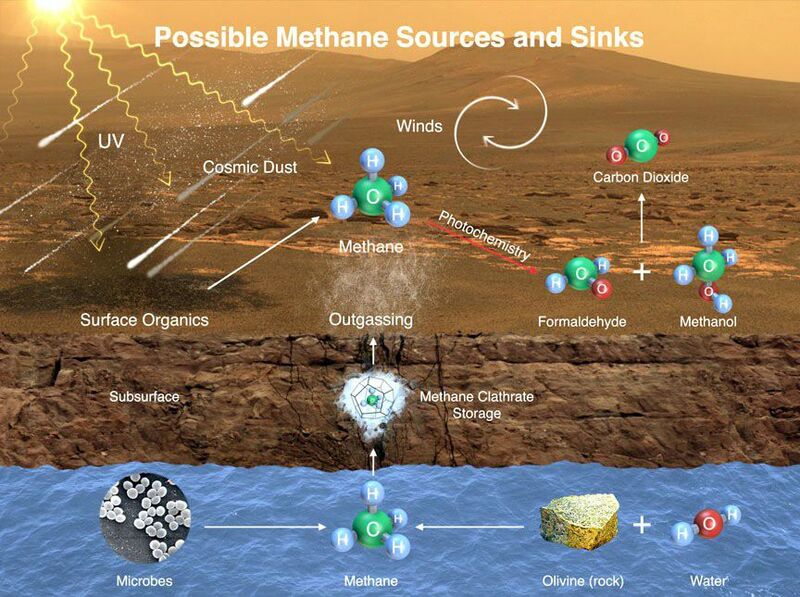 If the new technique has allowed Curiosity to gather a sample – at the time of writing this article, NASA had yet to provide an update on the operation – the engineering team will immediately begin testing a new process for delivering that sample to the rover’s internal laboratories. 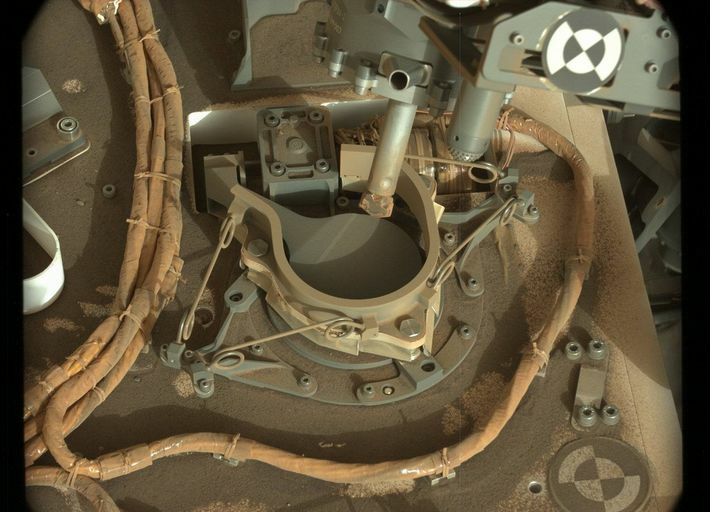 This is again a complex process, which in the past has involved the drill feed mechanism to transfer material gathered by the drill to another mechanism called CHIMRA (Collection and Handling for In-Situ Martian Rock Analysis), also mounted on the rover’s turret. CHIMRA sieves and sorts the material, grading it by size and coarseness before transferring it to the rover’s science suite, located in Curiosity’s main body. Success with both the drilling operation and same transfer will mean – allowing for fine-tuning and other adjustments – the drill could be re-entering regular use in the near future.